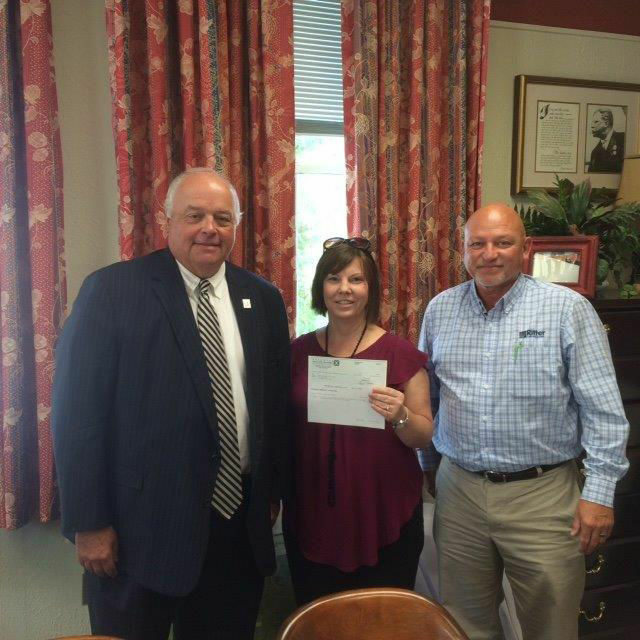 Millington, TN – Tipton County Schools recently set a goal to increase post-secondary education participation among its graduates, and the Ernest & Anna Ritter Family Endowment is proud to partner with the district as they pursue their mark. A $24,300 grant from the Ernest & Anna Ritter Family Endowment will allow Tipton County Schools to purchase 45 computers that will be utilized by the students to fill out FAFSA (Federal Application for Free Student Aid) and Tennessee Promise tuition assistance program applications that are only available online. The district graduates approximately 850 high school students each year, and currently 60 percent participate in some form of post-secondary education, be it four-year institutions, community colleges or technical colleges. Tipton County is striving to see that number grow by three percent each year for the next three years. Many Tipton County students have limited access to technology, which hampers their ability to apply for scholarships, grants and other forms of financial aid. The district is hopeful the computers purchased with the Ritter Family Endowment grant will eliminate a major barrier that prevents students from furthering their education. Tipton County Schools is comprised of 16 institutions in the West Tennessee cities of Atoka, Brighton, Covington, Drummonds and Munford. The mission of the Tipton County School System is to guide and inspire students to become model citizens who pursue post-secondary education and thrive in the global job market by engaging each student in challenging experiences led by quality educators in a safe and nurturing environment.